CRC Brakleen brake parts cleaner is non-flammable and formulated to quickly and effectively remove grease, brake dust, brake fluids, oils, and other contaminants from brake parts, lining, pads. CRC is a worldwide leader in the production of specialty chemicals for the maintenance and repair professional, serving automotive, marine, electrical, industrial, and aviation markets. CRC is a worldwide leader in the production of specialty chemicals for the maintenance and repair professional, serving automotive, marine, electrical, industrial, and aviation markets. 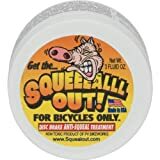 Disc Brake Quiet forms a water resistant, high-temperature film that absorbs noise while quieting squeaks and squeals. 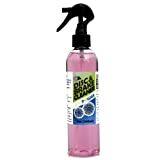 Disc Brake Quiet is specially formulated to dampen the vibrations that cause brake noise. Permatex Disc Brake Quiet stops brake squealing by dampening vibration at the caliper/brake pad interface. While providing a tighter fit and allowing for easier disassembly it also protects against corrosion. 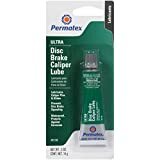 This product contains an elastomeric polymer for use with brake pads that don’t have anti-squeal shims and is compatible with anti-lock brake systems. 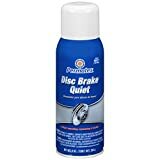 SpinPower Disc & Brake Cleaner removes grease, grime and brake fluid from all friction surfaces instantly. The Disc Brake Quiet forms a water resistant, high temperature film that instantly absorbs vibrations and quiets disc brake noise.